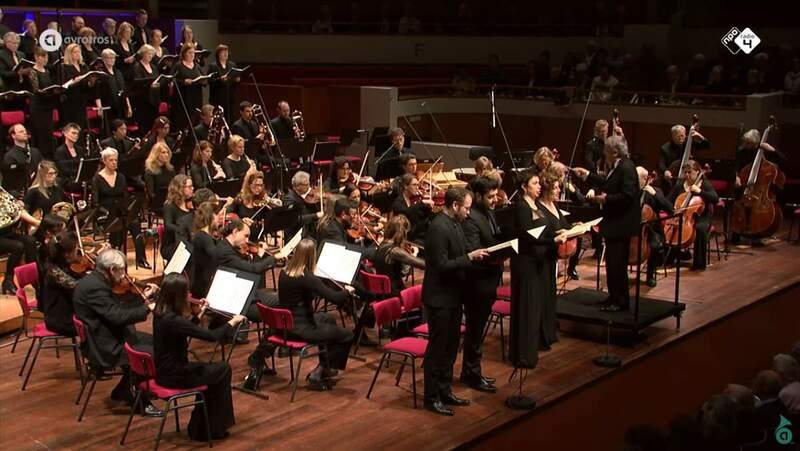 Conducted by Frieder Bernius, Radio Filharmonisch Orkest (Netherlands Radio Philharmonic) and Groot Omroepkoor (Netherlands Radio Choir) perform Wolfgang Amadeus Mozart’s Litaniae de venerabili altaris sacramento, K.243. Recorded: AVROTROS Friday concert on Friday 24 March 2017, in TivoliVredenburg in Utrecht. The AVROTROS Friday concert is a concert series of NPO Radio 4 and AVROTROS, in collaboration with NTR, the Stichting Omroep Muziek and TivoliVredenburg. Soloists: Sarah Wegener, soprano; Sophie Harmsen, alto; İlker Arcayürek, tenor; Sebastian Noack, bass. Published by the AVROTROS Klassiek channel. Christe audi nos, exaudi nos. Cibus et conviva, miserere nobis. Christ, hear us, graciously hear us. Our food and guest, have mercy on us. Offerer and offering, have mercy on us. Lamb of God, who takes away the sin of the world, spare us, Lord. Lamb of God, who takes away the sin of the world, graciously hear us, Lord. Lamb of God, who takes away the sin of the world, have mercy on us.